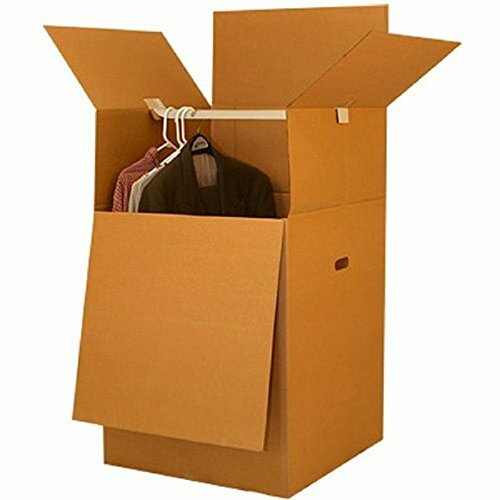 Bundle of 1 Wardrobe Moving Boxes: 20" x 20" x 34"
The boxes are great for packing or storing all of your hanging clothes. Our Heavy Duty Wardrobe boxes will protect your clothes while they are stored during your move. When unfolded, it becomes a large portable closet. If you have any questions about this product by Uboxes, contact us by completing and submitting the form below. If you are looking for a specif part number, please include it with your message.